The Funniest Best Man Speech Ever! One of the traditions the Best Man performs at the reception is giving the Best Man’s Speech and Toast to the bride and groom. Preparing early – at least a few weeks before the wedding – gives you the necessary time to develop and fine tune your tribute. 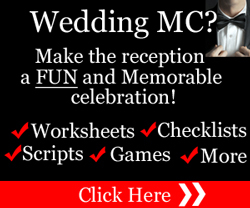 If you’re the groom’s best friend, then you’ll want to prepare anecdotes or funny stories that are appropriate. If you don’t know the groom very well, then you’ll have to talk to his family and friends and ask for their input. Your tribute should also acknowledge the bride. So you may have to get information about her to add to your presentation, if you don’t know her well. Gathering information also means researching other presentations to see what they’ve said. And the best way to get that information is from templates and examples. While you don’t have to have a humorous tribute, it does lighten the mood and makes things entertaining and enjoyable for the guests. In fact, the guests usually expect a funny tribute from you. Now, there are lots of ways to be funny. You can use funny anecdotes and jokes. You might be blessed with a dry sense of humor. Or you may be a naturally funny person who can make people laugh with your infectious humor. 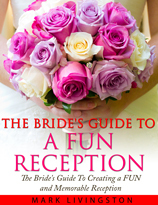 The key to using humor is to keep it clean and tactful so you don’t embarrass the bride, the groom, or the guests. Remember, what may seem funny to you could be humiliating to the bride and groom or the guests. So use good judgement. And if in doubt, leave it out. If you’ve known the groom for a long time then chances are you’re close to each other and this could be a sentimental time for you. There’s nothing wrong with including sentiment. And it’s perfectly fine to wish the groom happiness and remark that the bride is a terrific woman for him. Five minutes is a good time frame to work with. That’s about 750 words. Anything shorter and people will feel you didn’t pay tribute to the bride and groom. 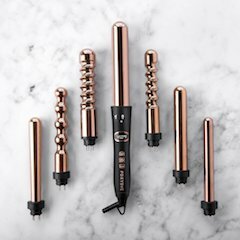 Anything longer and you risk becoming boring and losing the attention of the guests. If you and the groom are long time friends you’ve probably shared experiences. Perhaps you’ve double dated or dated the same women or gone on pub crawls together. Some of those experiences – especially those that have to do with dating, ex-girlfriends, or pub or tavern stories – are probably not known to others, including the bride, and are best kept to yourself and not shared with the guests. That’s why it’s a good idea not to reveal information that could embarrass or humiliate the groom or the bride – even if you think it could get a laugh. The reception is a time to celebrate the union of two people. It’s a happy and joyous occasion and a party atmosphere. And you want to join the fun. And perhaps even have a drink or two to boost your confidence. But as Best Man you have a responsibility to deliver one of the most important tributes and toasts of the reception. In good taste. And eloquently. And that means keeping a clear head and using good judgment. Too many otherwise perfect weddings have been ruined by people – including the Best Man – who had too much to drink before they get up to talk and embarrassed the bride and groom or the guests with inappropriate jokes or comments. Unless you want to be remembered for ruining the bride and groom’s perfect day, stay in control and deliver a tribute that you can be proud of. Successful speakers have one thing in common – they know how to grab the audience’s attention right from the beginning. And that’s exactly what you want to do with your presentation – you want to be able to grab the everyone’s attention immediately. Now, receptions are a happy time. People laugh and talk while things are going on. So you can’t always assume that the guests are going to be attentive when you begin talking. That’s why you need a maximum impact opening that grabs their attention. Once you’ve got their attention, you want to deliver a tribute that keeps them listening as you tell jokes, anecdotes, and funny stories. Let’s face it – you’ve got a tough job. 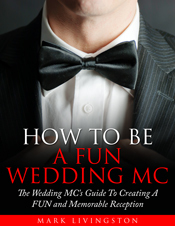 Because the Best Man is usually expected to deliver a memorable and funny wedding speech at the reception. And that puts pressure on you to come up with a presentation that is nothing short of spectacular. You can prepare your tribute the hard way and spend days thinking about it and writing and re-writing. But if you want the quickest and simplest way then do what other people do and use templates and examples. Fill-in-the-blanks, instant wedding speech templates are samples that have the exact wording you can use. You’ll also get sample wedding toasts. It doesn’t matter whether you’re a married friend…or family member…or you introduced the bride and groom. You’ll be able to adapt and fine tune a template to your situation. You’ll find short toasts to the bride and groom. Favorite memories of the groom. And humorous Best Man tributes. You won’t be wondering where to start….what to say…how to word the toast…where to find jokes…and all the other things that come to mind when you sit down to write your speech. And it’s more than the ideas that you’ll get from the these examples. Speech templates show you the wording to use – a turn of the phrase that conveys humor or sentiment in just the right way that has the impact you want. Templates and examples are one of the best ways to save you stress and anxious moments as you prepare. These Speech examples are instantly downloadable. You can cut and paste openings, funny lines, and jokes to create the framework of your presentation. Then add your own material. And you can get started within minutes because all the material is there for you to work with right away. By the time you’ve added your own material you should have a pretty amazing tribute. The spotlight should be on the newlyweds. This is their big day. The guests came to see them and hear about them. So direct your tribute to the bride and groom and talk about them, not yourself. Once you’ve prepared your presentation, you need to practice it. Out loud. And preferably in front of someone who can give you their honest opinion. You don’t need to know it word for word, but you should know it well enough that it flows smoothly. It’s recommended that you rehearse your opening and closing lines – and jokes – word for word. It will increase your confidence and with jokes, especially, you don’t want to mess up the punch line. Ultimately, you’ll be remembered for a number of things. And at the top of the list will how well you delivered your tribute to the bride and groom at the reception. Not sure what to include in your presentation? Get our FREE Special Report. You’ll discover the top 5 most important speech tips, 12 critical questions to ask before you start preparing your tribute, how to boost your confidence, and more. PLUS…4 talents you might have that you can use for an unforgettable presentation. 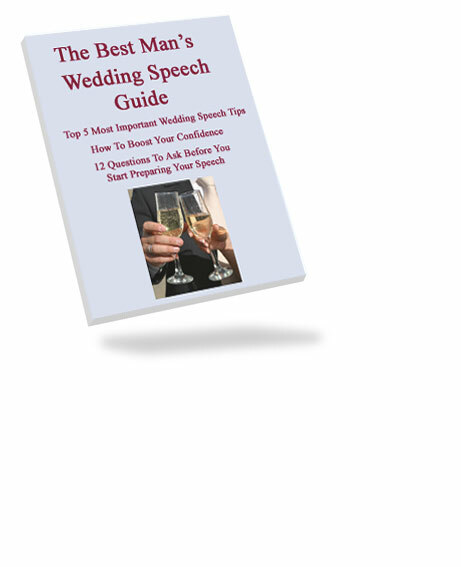 Get The Best Man’s Speech Guide right now (no sign up required).